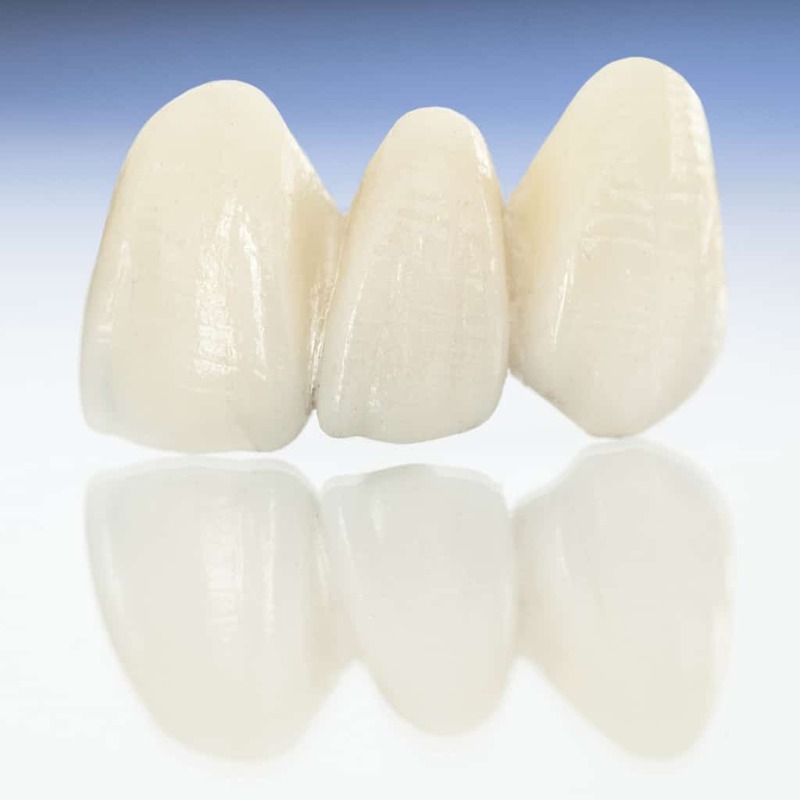 AA classic three unit porcelain bridge can make a dramatic improvement in appearance compared to other methods of restoration. 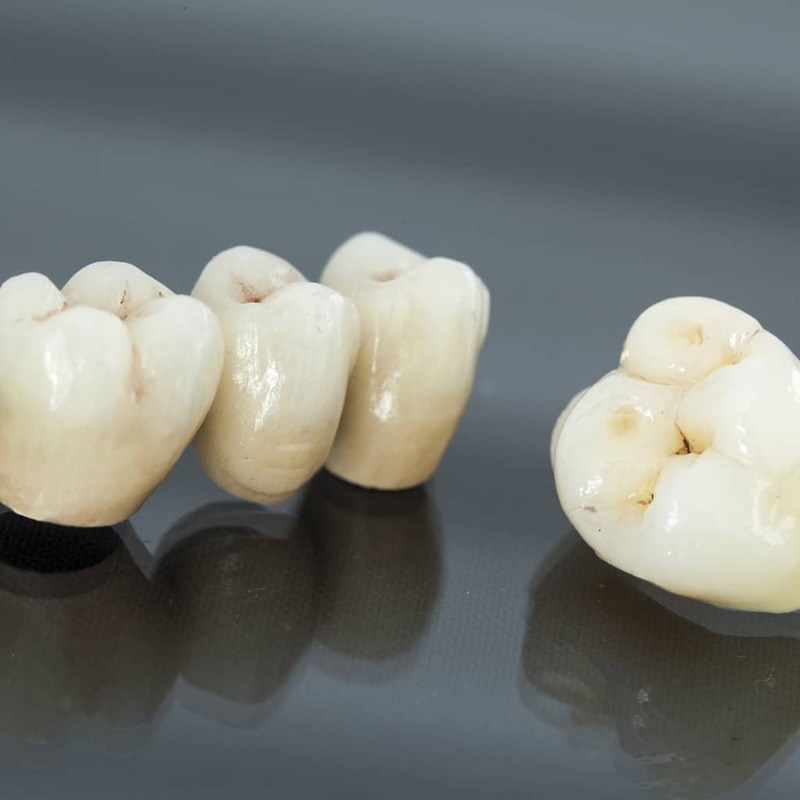 Compared to a denture the reported satisfaction level is much higher since it has no metal wires, is fixed in place and the porcelain colour choices are greater. Please go to the page about crowns to understand more about the materials and procedures used to produce these, and their risks and benefits. Again, newer materials have made the final product quite an advance on previous methods. 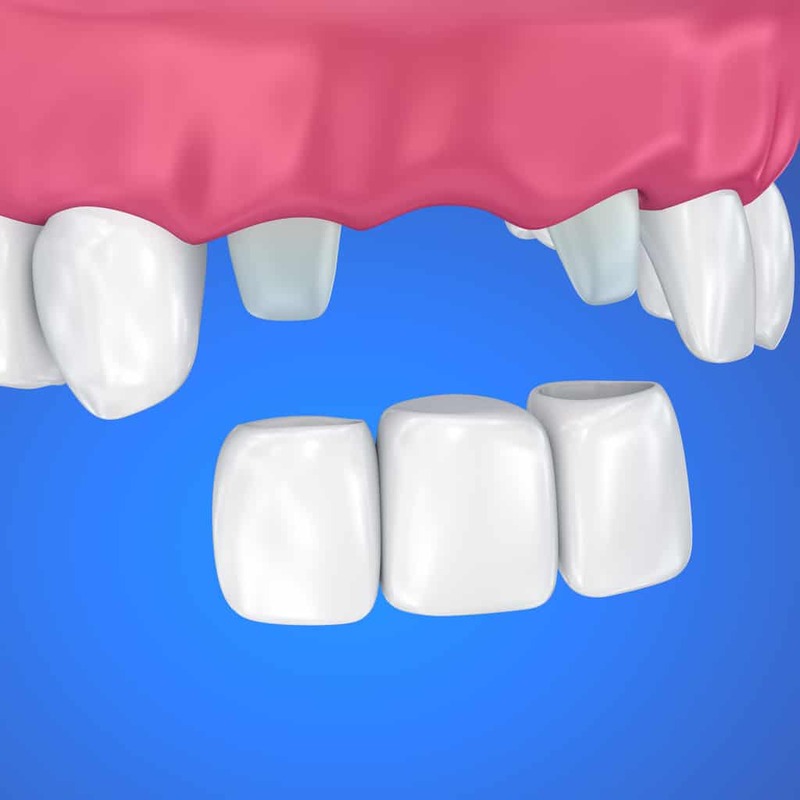 The other alternatives to a bridge are usually a partial denture or an implant tooth. A bridge would usually sit in between these in cost with an implant being the most costly option. Generally a bridge should last many years, and so too an implant. I have also seen some dentures last for a very long time but reported problems with dentures are much more common, such as food getting under a denture. We enjoy constructing bridges for people as they look and function so well and are long lasting. As a safeguard I usually extend the warranty period on them as we can produce a quality result with few problems arising. Australind Dental Centre is a family based dental practice servicing Australind, Eaton, Bunbury and the South West.